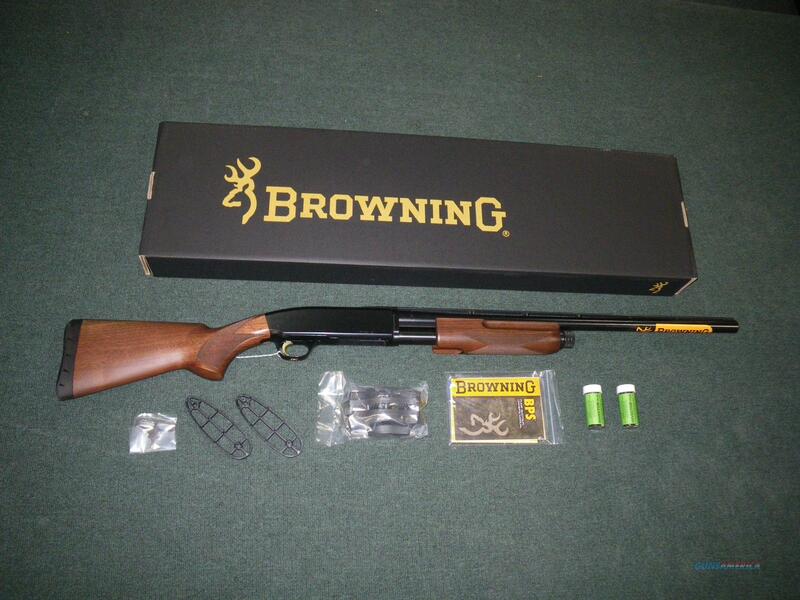 Description: You are bidding on a new Browning BPS Micro Midas in 20ga with a 22" barrel and 3" chamber. Browning Micro Midas firearms are designed specifically for smaller framed shooters. If you give a new shooter a long gun that is too large for them, they will develop bad habits in their form as they are doing everything they can just to hold the barrel up and get some kind of sight picture. The Micro Midas BPS shaves off weight and length (which can be adjusted with included stock spacers), creating a more compact and easy to handle package. As the name Micro Midas implies, this BPS is not another cheap "junior model" shotgun. The satin finish Walnut wood stock is as beautiful as it is functional, with detailed checkering on the pistol grip and fore arm. The vented rib barrel and the forged, machined steel receiver are gloss blued. The barrel is every bit the same quality as a full size Browning BPS, made with the Total Barrel Dynamics system, including Invector Plus chokes for the 12 and 20 gauge models and Standard Invector chokes for the other gauges. Displayed images are stock photos. Any questions please feel free to ask (our phone number is in the additional information tab above).